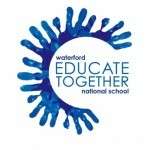 Attend | Waterford Educate Together N.S. If you are interested in attending our school, please explore our website for lots of information on school ethos, events and activities. If you would like more information about Educate Together schools, you can visit the Educate Together website. You can arrange to call to the school to meet the principal Edward Martin by contacting the office for an appointment. Check our school calendar for details of our open evening where interested parents can come to meet staff, parents, have a tour of the school premises, see examples of the fantastic work going on in our classrooms and find answers your questions about Waterford Educate Together.